Construct a guardrail system to prevent employees from falling to lower levels. 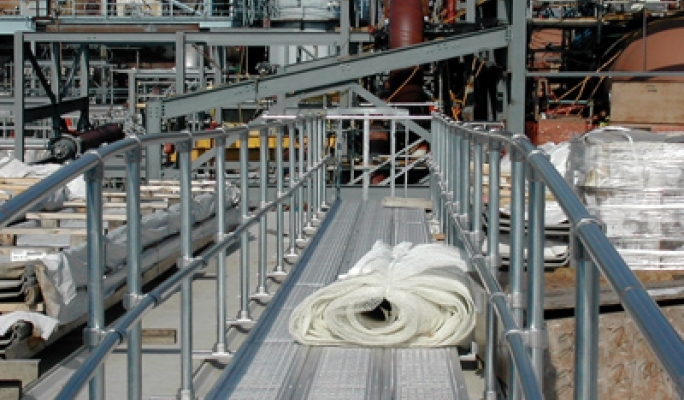 Kee Safety offers modular railing systems for simple installation in both aluminum and steel. OSHA Code 1926.501(b)(1) states that and unprotected side or edge which is 6 feet (1.8 m) or more above a lower level shall be protected from falling by the use of guardrail systems, safety net systems, or personal fall arrest systems.